Aquarium Design, Installation & Maintenance Services in L.A.
Infinity Aquarium Design offers a complete range of professional aquarium services in the L.A area, from design and fabrication to installation and maintenance. An aquarium is like a living, moving work of art and that is exactly how Infinity Aquarium Design of Los Angeles approaches every installation. Infinity Aquarium designs installations that become a part of the décor of your living or work space. We design aquariums to reflect their surroundings – and your personality – to make your aquarium the centerpiece of any interior or exterior space. The first thing we discuss with you is what type of aquarium you prefer, freshwater tank or reef tank. Reef or saltwater tanks have different needs than freshwater tanks including special lighting and plumbing requirements, which will affect the design and installation. We meet with you to help you determine where to place your aquarium in your living or working space. We can discuss all the options with you and even work with your designer and contractor to ensure that your aquarium meets their design requirements. During the design stage, we also inspect the work area to ensure it is appropriate for running plumbing and electrical, and that the floor is structurally sound to take the weight of the aquarium. We’ll work together with your builders, architects, and engineers where necessary. How do I know what fish are compatible with my aquarium? As a part of our aquarium services we offer livestock selection and compatibility assessment. Each is carefully considered and discussed with you for all aquariums we design and install. Infinity uses only the highest quality acrylic and glass in your aquarium for better strength and durability as well as aesthetics. 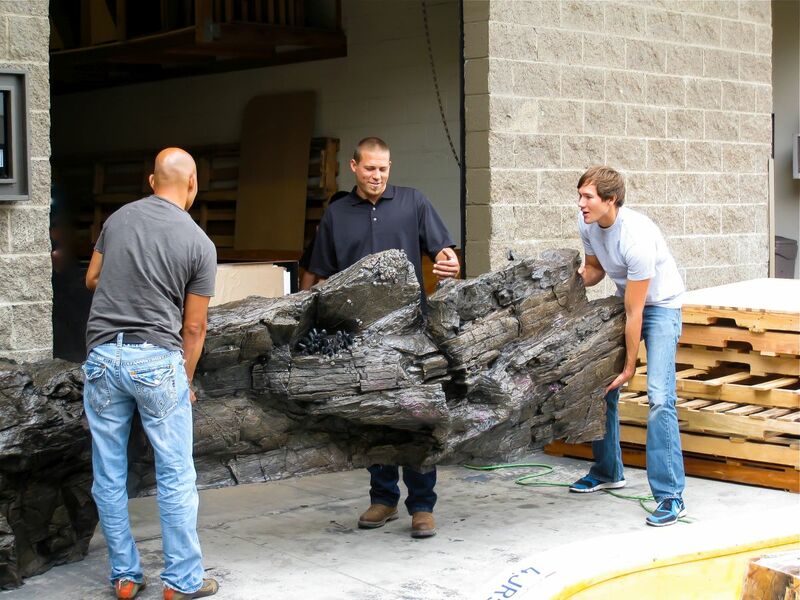 In our onsite workshop we can bend and mold your aquarium into any size and shape, giving you endless possibilities. Seams are molecularly bonded – not sealed with resins that can deteriorate over time – to extend the life of your aquarium. If your installation requires other custom construction aquarium services such as custom cabinetry, we can provide you with a number of options that will complement your décor. Our team is skilled in all aspects of aquarium construction including wood, metal, glass, and acrylic fabrication. You’ve done the planning, you’ve envisioned the design, and you’ve dealt with the waiting. 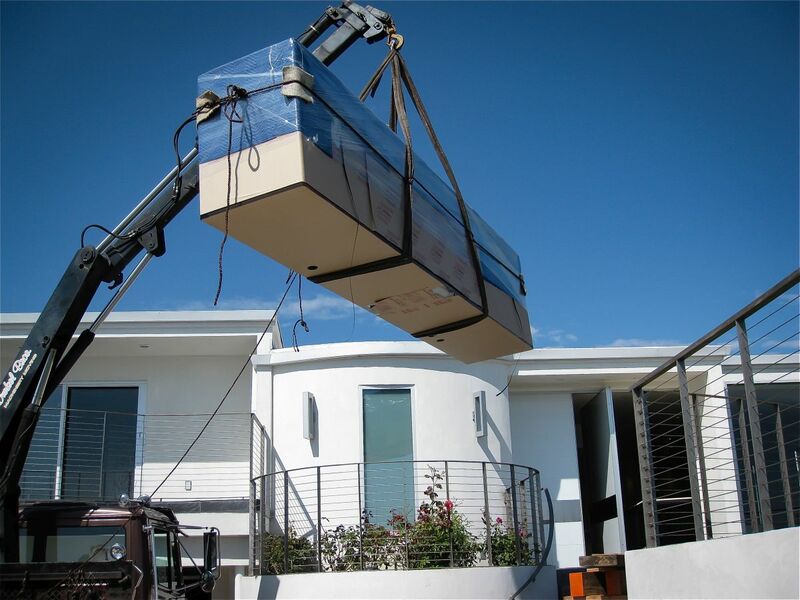 The day has finally come for the installation of your new custom aquarium! 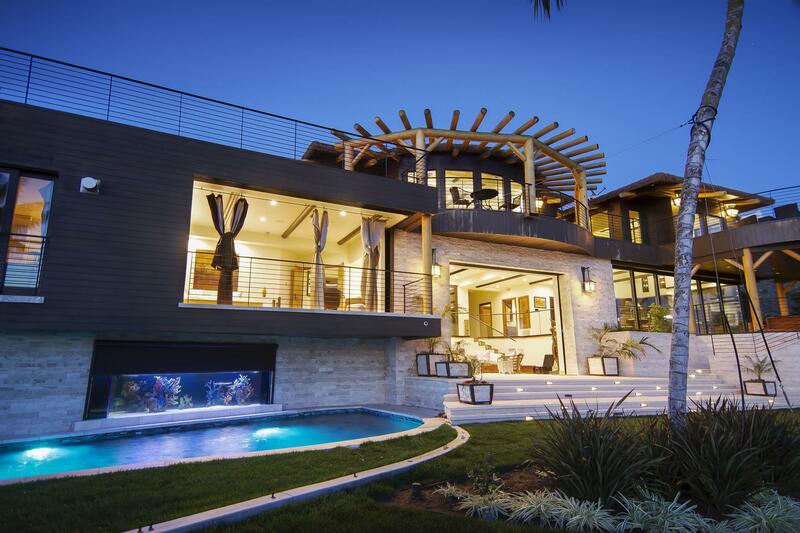 Infinity Aquarium Design has been named “one of the nation’s preeminent aquarium design companies” and continues to set its standards high above the rest. When it comes to installing your aquarium, we take pride in demonstrating the utmost responsibility and professionalism. No matter how small or large the project, we leave you with a quality piece of work. Whether your aquarium is going to be in-wall or free standing, in a home or a business, and whether the filtration is underneath the tank or 50 yards away, our team will deliver your desired results- GUARANTEED! Infinity guarantees the workmanship of every installation for the life of your aquarium – guaranteed. If you ever experience problems caused by design, fabrication, or installation, we’ll come out immediately to make it right. Designing your custom aquarium involves many steps to ensure a safe – and beautiful – installation every time. Infinity Aquarium Design of Los Angeles offers a full range of professional aquarium services for set design and fish wrangling throughout the Greater Los Angeles area. Our trained staff has worked on several productions providing various levels of services and support depending on their needs. Our in-house fabrication workshop and creative department can design, build, and install a wide variety of aquariums for your set. With our attention to detail and creative designs, we can be your “go-to” company to help you incorporate any size aquarium into your set design. We’ll work closely with the set designer and team to create a custom aquarium so that the aquascaping and lighting make your aquarium look its best on camera. We can also provide other design elements as needed including portability and even aquariums built with breakaway glass for that climatic scene. No matter what your needs, if it has to look good on camera, Infinity Aquarium Design will deliver. We can fabricate spheres, polyhedrons, “habitrails”, in-floor, in-ceiling, and any number of different configurations. The laws of physics are our only limitations. Infinity also provides fish wrangling services for your on-set aquariums. We can source fish for you based on specific size, color, species, and shape, either from our own stocks or from around the world. Turnkey solutions that you can pack up and take, or fully supported on-set maintenance from one of our professional aquarists. We also offer services in the relocation of live fish and corals. Livestock relocation requires a particular amount of care and consideration in order to be successful. Establishing the appropriate water parameters, oxygen levels, and transport containers will help ensure a successful journey for your aquatic livestock. Your aquarium is like its own mini-ecosystem. When everything is in balance, all species in your tank thrive. But that balance can be hard to maintain, especially for complex ecosystems like saltwater and multi-species environments. With over 30 years of experience, our team of trained aquarists are among the most skilled and knowledgeable in the industry, further demonstrated by our 98% client satisfaction rate. The professionals at Infinity provide top-notch aquarium services to keep your aquarium in natural harmony so that it remains healthy and thriving. 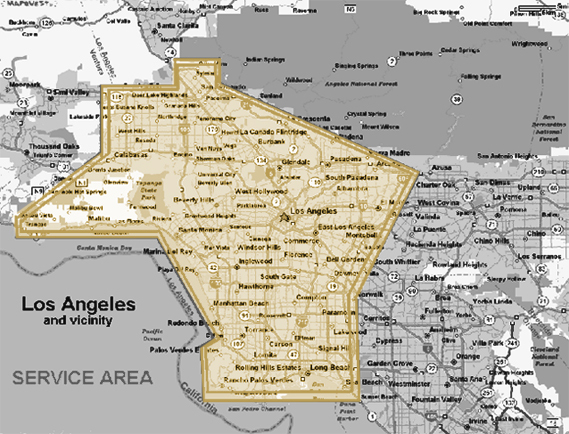 Our aquarium services range covers the entire Greater Los Angeles Area (see map below): Long Beach, the San Fernando Valley, and the San Gabriel Valley. You don’t have to worry about cleaning the tank, ordering food and supplies, maintaining critical levels like salinity and PH, or other time consuming and sometimes complex procedures with our aquarium services. As a part of our aquarium services throughout the L.A. area, we also provide our clients with a 24/7 emergency hotline number so that you can call us anytime should your tank require the immediate attention of one of our professional aquarists. Our vans are equipped with all of the necessary tools and supplies needed including additives, foods, tools, test-kits, and even livestock right to your doorstep at no additional charge. Infinity carefully tracks each maintenance visit, documenting what was done, what supplies were added, and any special measures that we took so you know exactly the state of your aquarium’s health. Call Infinity Aquarium Design at (800) 590-3474 or reach out to us online here to speak with one of our professionals about the aquarium services we offer in Greater Los Angeles!